Ball valves are used in almost every process in engineering where flow control is a requirement. Its invention and development has been on for decades and even as of today, the basic design and principle of this instrument of flow control has remained the same, with the exception of different variations of flow control. This device consists of basically a spherical disk with a through hole which is installed within the casting of the device, which together makes up what we call the entire flow control system. The flow of fluid through pipelines can be controlled in terms of flow volume, or if necessarily, total cut-off, but adjusting the level or handle at the top of the device. 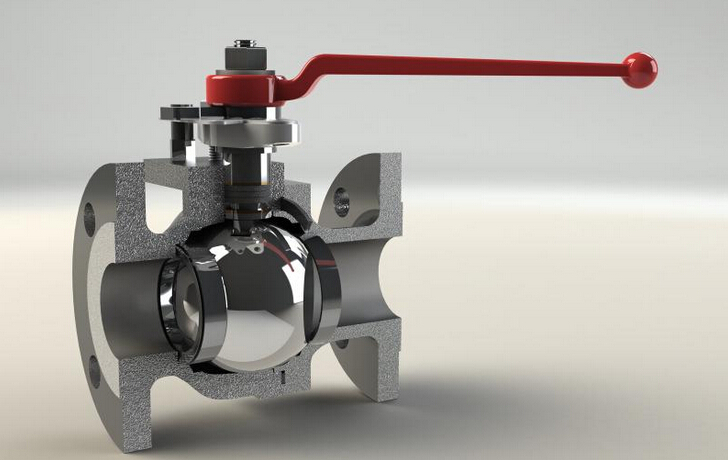 The level or handle of the valve is connected to the spherical disk and by turning the level or handle, the opening of the spherical disk can be tilted to a specific angle which determines the rate of flow as well as the termination or cut-off of the flow. The simple design and its underlying principle has stood the test of time, and the efficiency and durability of the construction makes the control of fluid flow an efficient process. Applications of the valve control system can be found in numerous industrial processes from oil refineries, petrochemical installations, pharmaceutical plants, breweries and so on. They can also be found within buildings for flow control of water in domestic residential applications. The versatility and durability of the this product is such that where fluid movement control is needed, the Ball Valve is practically indispensable. They can be of many different types depending on the application and specification requirements. Actuated ball valves, Trunnion Ball Valve, 3 way ball valve, check valves, globe valves, control valves and so one, are just some of the terminology used in its definition. A control valve, for instant, is basically a one that is coupled or installed with a pneumatic actuator to allow for remote control of flow processes in the pipelines. These flow control systems can also come in a variety of material types, like stainless steel for instance. Material grades determine the ability of the valve to within specific operating environments like high pressure, high or low temperature as well as conditions of operations where the ball valve will have to come into contact with corrosive medium. The selection of the ball valve for a specific application is an engineering decision based on knowledge of the science that pertains to particular industries. Next: Which one do you prefer, Ball Valve or Gate Valve? Previous: What Are Check Valves?